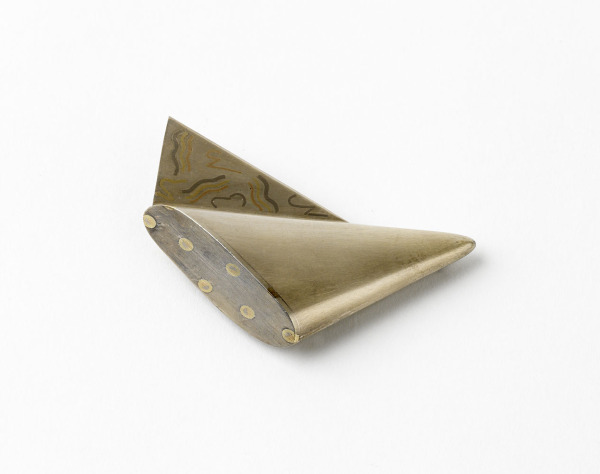 Trianglular silver brooch, inlaid with yellow, red, and white 18ct gold, with a triangular 'wing' soldered to one side. 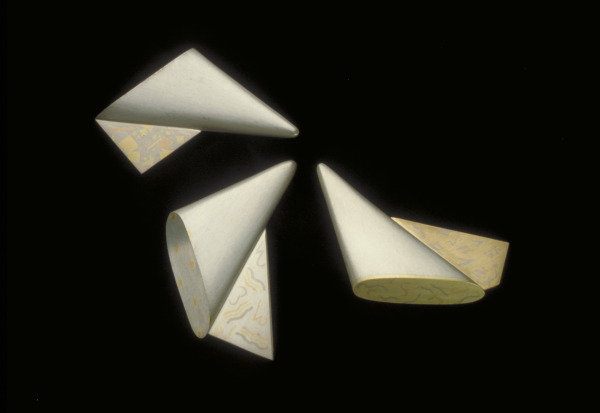 The silver two-dimensional wing is also inlaid with yellow, red and white 18ct golds. The pin is 18ct hard white gold. 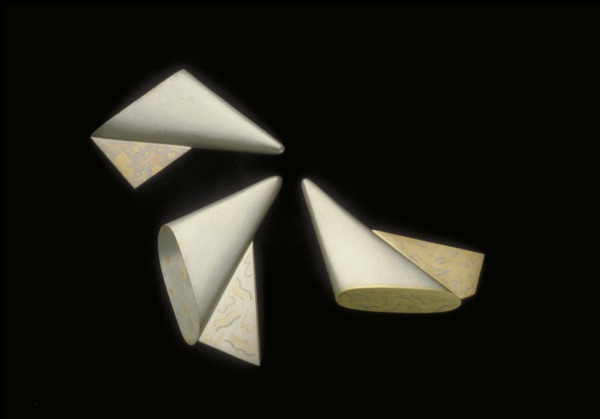 The brooch has a chased, hollow silver body made in two halves, soldered together and capped off at an oblique angle with silver inalid and yellow, red, and while 18ct golds. 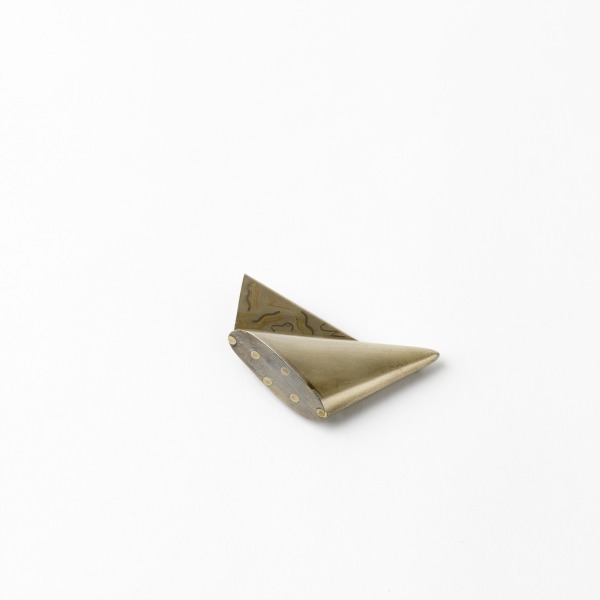 Triangular Winged Brooch With Silver Wing, Ros Conway, 1977-78, Crafts Council Collection: J86. Photo: Todd-White Art Photography. This brooch is one of a set of three completed during the first year of a two year fellowship with Northern Arts.